Apple is Working on Augmented Reality for Multiple People: Apple may announce Monday a way to see the same in augmented reality with two iPhones. The company does this during the WWDC developer conference, writes Fortune News. 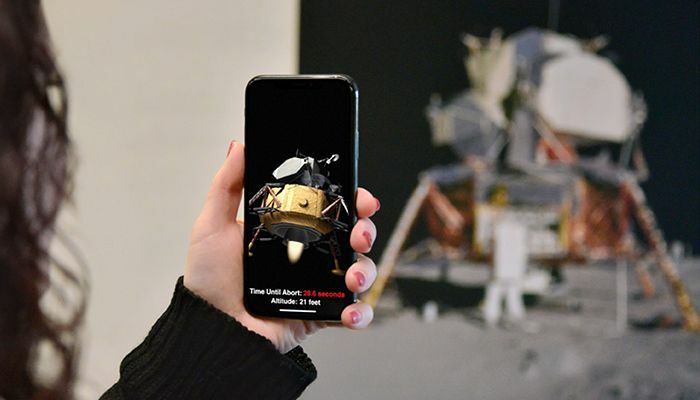 With augmented reality, users can place a virtual object in the environment, using a smartphone camera. Apple is expected to announce a way in which two people can share their data so that they both see the same virtual object in the same place. The system would only share data between the two phones to protect the privacy of the users. For example, Apple does not use data in the cloud. The company has not responded to the report. Many details about the technique are not known. For example, it is unclear whether it also works with more than two people. However, it would make games for multiple players in augmented reality possible for people with an iPhone.